Anyone with eBucks, a Clicks Club Card, or a membership with Discovery Vitality knows the magnetism that a loyalty programme can have for a brand. And a big part of why they’re so successful is because of how well they communicate with their members. Want to know how? 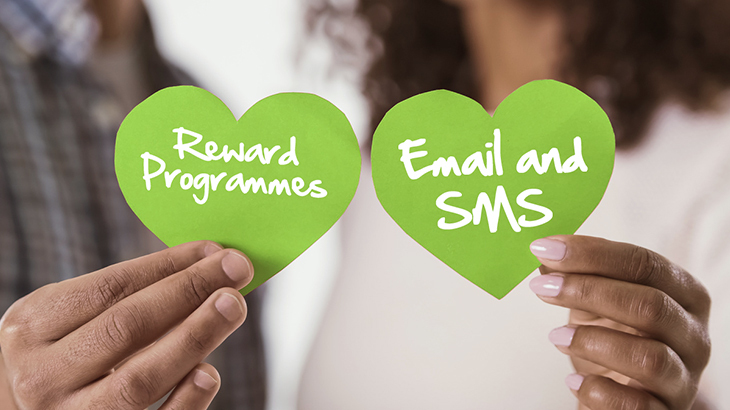 Here’s why you should use email & SMS in your rewards programme. The effectiveness of selling to existing clients rather than attracting new ones. They know you already. They like you already. They’ve paid you at least once already. Rewards programmes can increase their chances of coming back. Valuable data collection. The kind of data that makes marketing to them exponentially easier and more effective – especially when you personalise your messaging and send to segmented audiences. Heightened perception of value. Customers feel like they get more for their money than just the product or service itself – a ‘wow’ factor that makes them want to return the favour by making more purchases, visits, and referrals. Increased word-of-mouth advertising. The more a client engages with your brand, the more likely they are to promote it to others – a form of advertising that’s as much as 10 times more effective than all others. But all the benefits in the world won’t become a reality unless your customers are actively involved. And that means you’ve got to start a good conversation. According to Antavo, SMS and email messages “should not be thought of as separate entities, but rather a combined force.” This is because loyalty programmes and digital communications often work hand-in-hand. Plus, if you send hyper-personalised, relevant content that adds value, you’re way more likely to keep your customers engaged. Because well-designed emails can be so visually appealing, they also help to flaunt the benefits you offer, creating a sense of curiosity and excitement. 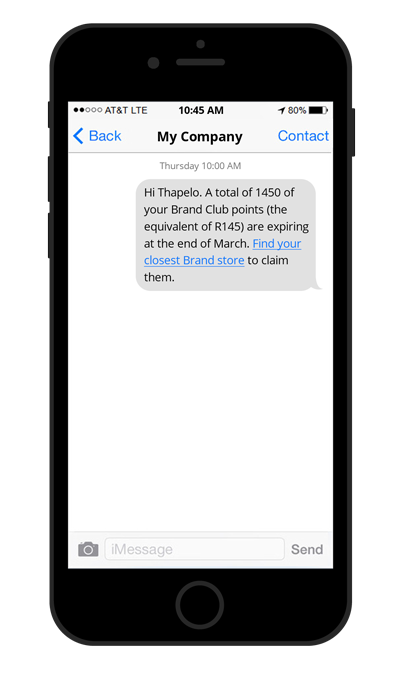 Plus, with social media links and SMS-to-email functionality, you can really connect the dots on all your loyalty-related communications. For a rewards programme to be effective, keeping your members engaged is critical. So, the more personalised you can make your messages, the better. Antavo recommends giving bonus points to members who complete their customer profiles – this increases the level of data on which you can segment and personalise their messages and, in turn, boosts sales. Remind your loyalty members about their points balances, coupons, or vouchers that haven’t been redeemed yet – especially if they’re about to expire. The urgency often boosts sales. If you’ve got the expiry dates in your database or an integrated CRM system, you can even set these messages to go out automatically using automation capabilities from an email-software provider like Everlytic. Fear of missing out is a strong motivator. Send out early or exclusive deals so your members feel special and are compelled to take advantage of them. Thank your members regularly for making a purchase, redeeming a reward, writing a review, or being a long-time subscriber. This lets them know that they’re valued and keeps them engaged. You can even add a personal touch by including a message from an account manager or the CEO – another feature that can be managed by automation. After all, engaging with your subscribers as a real human is far more effective than the alternative. Send messages to your members for special events, like birthdays. Why? Because not only do they show that you care, but birthday and anniversary emails can have a 300% higher open rate and a 100% higher click-through rate! Strong rewards programmes can be very effective at boosting client engagement, improving customer loyalty, and driving sales – especially in South Africa. Optimise your member engagement by reaching them via channels like email and SMS.